Turning 30 can be both joyful and perplexing. Especially if the majority of your twenties was spent partying, pulling all-nighters, and eating all the pizza you wished to, this decade can be one of transformation and acceptance that your body likely won’t recover as quickly as it used to. Oftentimes your thirties can be a rough 10 years of mental and physical metamorphosis, until you hit your forties and the crusade continues. To make it simple, let’s break down the various changes that can happen and discuss how to support your body through this decade. Mental health in your thirties. This is the decade in which you gain clarity about what you really want out of life. And this can be stressful as it means you must shift your habits—oftentimes taking your foot off the accelerator and putting it on the brakes. This is when you often decide whether you want to have a child or not, and you may struggle with focusing on your career but also wanting to settle down and start a family. In our thirties our lives tend to be all-around demanding: mentally, physically, and psychologically. So make a list of all the things that overwhelm you, and prioritize the ones you absolutely have to do. Simplifying life is the key. Know exactly what you want and the strategy to get there. It will take trial and error, but it will be worth it! Weight loss in your thirties. Depending on how well you lived your twenties, the thirties can be a decade of slow and steady weight gain, bone-density loss, and loss of muscle mass. So being physically fit is crucial; you cannot be overweight and be optimally healthy. Weight is a marker of inflammation and oftentimes leptin and insulin resistance, so exercise is a must—especially if you have a sedentary job. A great option is to work with a personal trainer until you are comfortable doing strength-training exercises to control weight, protect muscle mass, and keep you fit and active. Thyroid problems are also common in this decade, so if you’re having real trouble losing weight, it might be wise to get a thyroid check. Breast health in your thirties. Breast health can be an issue in your thirties, with fibrocystic breast tissue being at its peak. Avoiding and correcting any iodine deficiencies can help protect your breasts during this time. This is also the decade during which we should become more accountable when it comes to our own health; make sure you see your doctor regularly and do plenty of self-exams. Being a thirtysomething can get overwhelming—so much so that there’s a tendency to turn your focus away from the self. Be deliberate and commit to carving out time for yourself. Our skin often starts to show early signs of aging during our thirties. 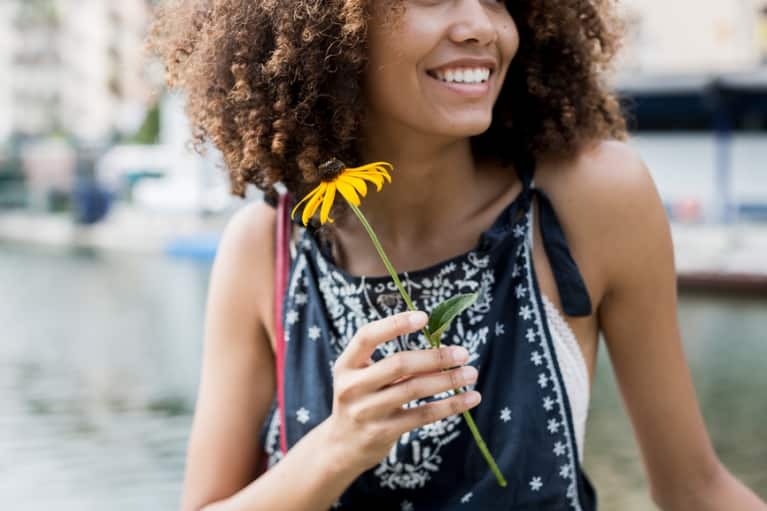 This is a good time to slow down the fun in the sun and ramp up your skin self-care regimen and invest in natural beauty and skin care products. Fertility is often a big topic of conversation in your thirties. And this is the time to get serious about having children if it’s something you want. Having a baby in your forties not impossible or wrong, but the risk for birth defects is certainly higher after 35. If you’re planning a pregnancy, take prenatal vitamins, and avoid alcoholic drinks at least two months before conception as it will help you have a normal and healthy pregnancy. Disturbances in your sleep can be an important marker of hormonal imbalance and the state of your overall health. Make sure you’re sleeping well (seven to nine hours each night) and not requiring any extra medication for this. If you do have trouble sleeping, avoid blue light for the few hours before bed. I also find that if you journal your most stressful thoughts prior to bedtime it can break the “looping” of these negative thoughts in the brain and help you fall asleep more peacefully. All of the above are common-sense approaches to the changes that occur during this decade and will help create a smooth transition into your forties. Women who take care of themselves in their thirties really blossom in their forties. But if they ignore this decade, it can take even longer to recover their health and happiness. Work with a GP on preventive care and a life coach or wellness coach who can help you tackle the most pressing decisions of this decade. Loving-kindness meditation, also known as metta bhavana, is a method of developing compassion, disciplining negative thinking and balancing and harmonising wandering minds. Buddhists and Taoists have used it for centuries and believe that it enables them to achieve a powerful alignment with the universal flow of energy and love known as ‘qi’’. It can be adapted and practiced by anyone, however, regardless of religious beliefs. The aim is to feel and emanate a pure, unconditional and inclusive love, one of wisdom with no terms or restrictions. It doesn’t depend on whether someone deserves it or not, nor is it confined to family and friends, and there are no expectations of gaining something in return. It is a meditation of care, concern and tenderness – a feeling of warmth for ourselves and others. The practice softens the mind and heart, opening us up to a deeper level of kindness, and breaks down our internal and external barriers. We have to begin by loving ourselves, because without having experienced this unconditional love and acceptance on a personal level it will be difficult to extend it to others. From this point, we can then include those who are special to us and eventually all living things. Over time, the visualisation and meditation blend into the actual experience – the feeling of loving-kindness. Take a comfortable and relaxed posture and bring your focus to the solar plexus (your chest area). Breathe in and out from the heart centre and anchor your mindfulness on the sensations coming from there. Recognise any areas of mental blockage, numbness, self-judgement or self-hatred and try to generate a kind feeling toward yourself. As you keep breathing in and out, repeat affirming phrases, such as ‘may I be happy’ and ‘may I be healthy and strong’, either in your head or out loud. Choose five that resonate most strongly with you, and after saying each one several times, move on to someone in your life who invites the feeling of pure unconditional loving-kindness (usually a partner or close relative). Repeat the phrases you used for yourself for this person (e.g. ‘may she be safe and protected’) while continuing to breathe from your heart centre. Next, do this exercise for someone neutral whom you neither strongly like or dislike followed by a person you have difficulties with and who generates hostile feelings and resentment within you. This will no doubt be the hardest part of the meditation, but you will be surprised how much better you feel once you start directing positivity toward them. If negativity starts to arise, return to your first person of choice and let the loving-kindness flood back then try again. Practising this on a daily basis will bring you great benefits, both on a personal level and in your relationships, and should help you to cultivate a compassionate and loving mindset in work, rest and play.